SXnavo improves the day-to-day school bus operations by providing locational intelligence to monitor and manage the fleet of school buses. With SXnavo installed in the school buses, the school administrators can now easily track the movement of all the buses and also receive alerts for violations such as idling for more than 15 minutes, sudden braking, sudden acceleration, reckless driving and speeding through alerts via email and SMS. SXnavo also makes it simple for the school to help identify misuses of vehicles, unauthorized trips or entry into areas that the vehicles are not permitted, a technology known as geo-fencing. 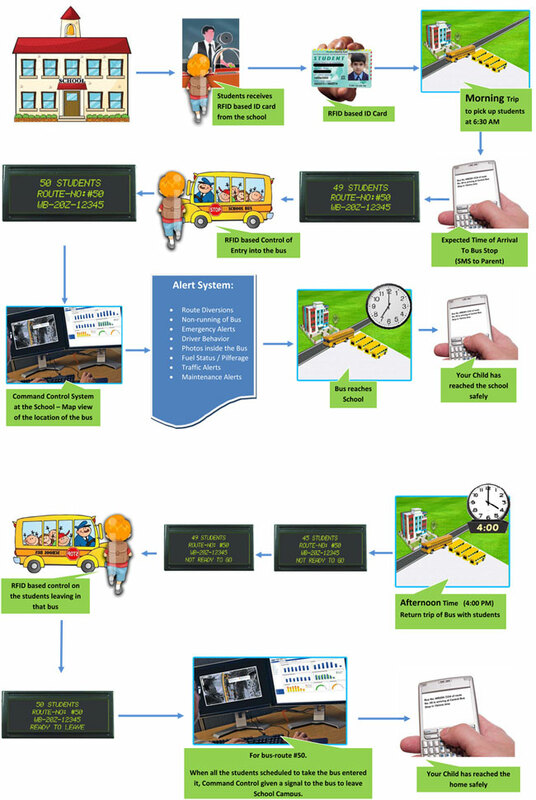 Additional security measures such as Biometric and RFID integration are implemented to track the entry and exit of students in to and from the school buses. With SXnavo on its side, a modern-day school can now handle parental concerns immediately; respond to emergencies or bus breakdowns by locating the nearest vehicle available for assistance and increase driver accountability. The Fleet Maintenance module is an additional benefit for the institution that helps in extending vehicular life. 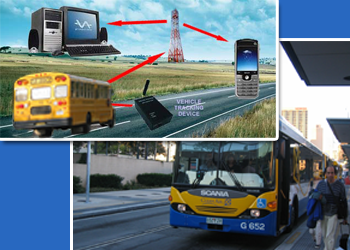 SXnavo web-based software application providing vehicle operators and transport authorities with information about the status of the public transport network. Dynamic Fleet Management from SXnavo allows the vehicle operators to view the status of their vehicle fleet either in real time or as a historical playback by route, corridor or individual vehicle. Alerts indicate when specific limits have been exceeded, such as poor schedule adherence or driver behaviour. Computer Aided Despatch from SXnavo has a two way communication system that allows individual or groups of vehicle drivers to be contacted by voice or on-screen messaging, while with Messenger service messages can be sent to individual or groups of passenger signs when necessary.Operator Reports provides management with the ability to mine historical data for service improvement and reporting against key performance indicators.